This Naked Grouse is a high end blend with the malt content from Macallan and Highland Park. 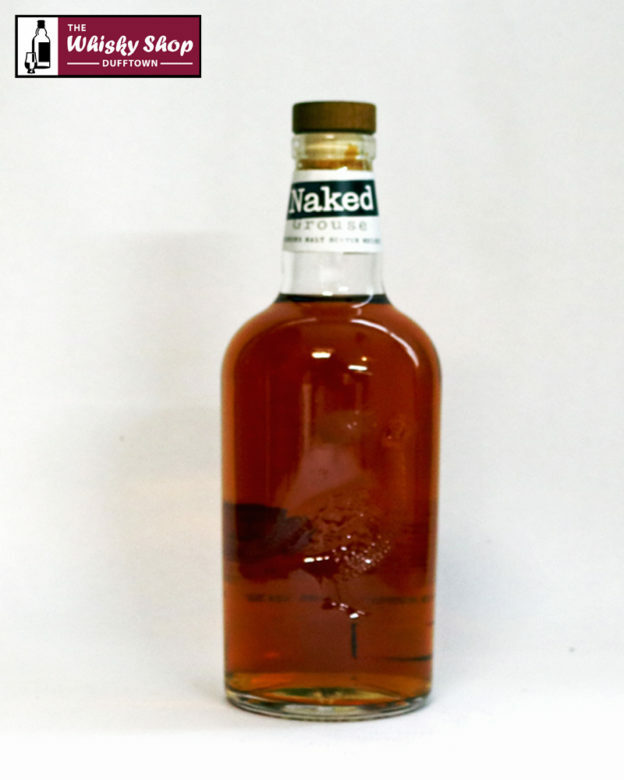 This Naked Grouse is a high end blend with the malt content from Macallan and Highland Park. Matured in sherry casks. What The WSD thinks: Tart on the nose. Sweet raisin syrup on the palate. Crowd pleasing and a bar conversation uplifter. Water tames the tartness and ads creaminess to the concoction binding it together. Distillery: Black cherries, cocoa powder and oak wood. Distillery: Sweet, resinous, dried fruits. Spicy cinnamon sticks and nutmeg. Distillery: Dark chocolate with lingering spiciness. Medium sweet.